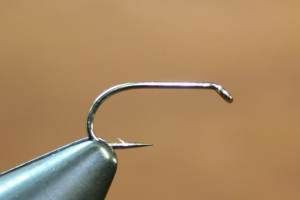 Chemically sharpened needle point hooks. Come in packs of 25. Down eyed, heavy wire, bronzed. This heavy wet fly hook is a best seller.It is a good alternative to the Scorpion Competition Heavyweight. Sizes 6 to 16.